Marble Pooja Thali. Multicolor Marble Gift Item.Made From White Marble. 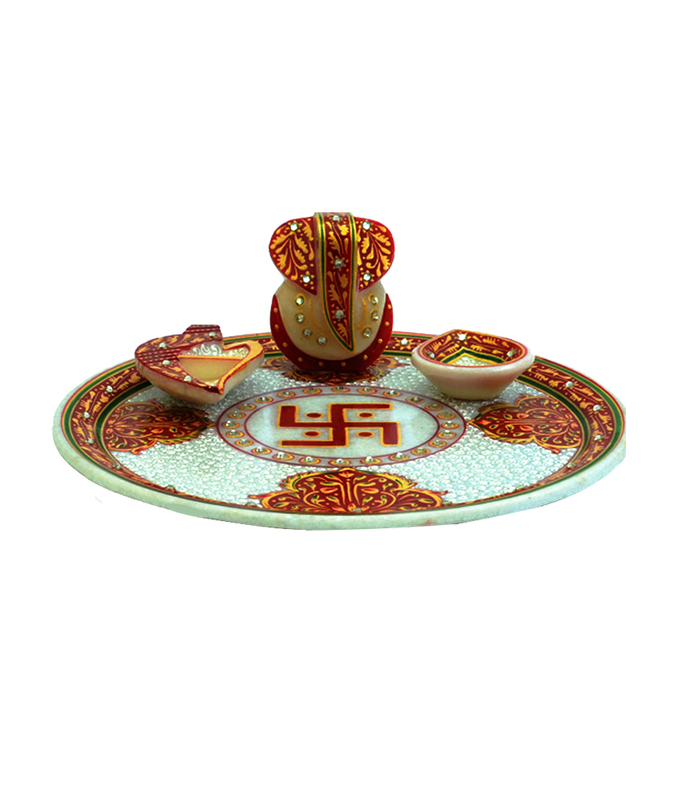 Blend with traditon and is magnificently carved up in marble with artisitic idol of Ganesha and one designer diya placed on thali. Gold Painted Aarti Thali. A masterpiece in marble. Adorned with subtle stokes of gold work to add brilliance to your home decore This Kundan Studded Hand Painted Marble Pooja Thali set with Sathia Ganesh and Sindoor Chopra will enhance the aura of your religious place or temple. It is one of the most popular choices for gifting purposes. Product colour may slightly vary due to photographic lighting sources or your Screen settings.